LONDON – Team USA brings a group of athletes with an incredible depth and diversity of talent to the 2012 Olympic Games. With a mix of seasoned veterans including Reese Hoffa, Meb Keflezighi, Sanya Richards-Ross and Allyson Felix along with Olympic newcomers like Ashton Eaton, Christian Taylor, Will Claye and Carmelita Jeter, Team USA has the potential to bring home multiple Olympic medals every day of the Olympic Games. With only two finals on the first day of competition, Team USA still has the potential for multiple medals. 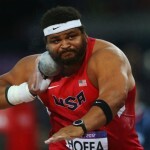 In the men’s shot put, the U.S. team owns the three best marks in the world this year. Christian Cantwell is the most decorated of the trio with a silver medal at the last Olympic Games, and four World Championship medals. Hoffa will be eyeing his first Olympic medal to go along with four World Championship medals, and relative newcomer Ryan Whiting will look to continue to momentum from his World Indoor title earlier this year. In the women’s 10,000m, Amy Hastings enters the competition with the fifth best mark of the field of 31:19.87 and will look for her first international medal. Reigning Olympic discus champion Stephanie Brown-Trafton has potential to bring home the first U.S. medal on day two. Brown-Trafton set the American Record of 67.74m/222-3 earlier this season. The average age of the men’s long jump squad is not even 24-years-old, but the three young men have the potential to bring the U.S. back to the podium after missing out on a medal in 2008. The trio is led by 21-year-old Marquise Goodwin who has the fourth best jump in the world this year at 8.33m/27-4 from his Olympic Trials victory. 2011 World Outdoor bronze medalist Will Claye and George Kitchens are not far behind with marks in the top-20 as well. The U.S/Jamaican rivalry will be in full force in the women’s 100m, where the top eight entrants in the race are from one of the two nations, only with the exception of Trinidad’s Kelly-Ann Baptiste. The U.S. squad is led by reigning World Champion Carmelita Jeter and reinforced by Allyson Felix and Tianna Madison. 2008 bronze medalist Shalane Flanagan has moved up in distance from the 10,000m to the marathon, and is the top U.S. entrant and medal contender with her Trials record of 2:25:38. Flanagan has maintained her foot-speed at the longer distance and finished third in the 10,000m at the Trials in 31:59.69. In the women’s 400m, Sanya-Richards Ross is back to championship form after dealing with injury in the 2010 and 2011. She is currently second on the world list and will look to upgrade her 2008 bronze medal, while also competing in the 200m later in the schedule. It’s the same story on the men’s side of the 100m final. With the top seven entrants hailing from the U.S. or Jamaica, along with one athlete from Trinidad, the competition between the two nations will be fierce. Justin Gatlin won the U.S. trials and is currently third on the world list in 9.80, and Tyson Gay is sixth on the list in 9.86, but is just now coming into top form as the Olympics will be his fifth 100m race of the year. 23-year-old Ryan Bailey was a surprise addition to the 100m squad and comes into his first major international meet ranked seventh. It has been more than 50 years since Earlene Brown won Team USA’s only women’s shot put medal, a bronze in 1960, but American record holder Jill Camarena-Williams and Michelle Carter each have won bronze in recent global championships and will challenge for podium spots. Camarena-Williams was third in Daegu last year and is one of only two American women ever to throw over 20m, while Carter was third at this year’s World Indoors. Two-time Olympic champion Angelo Taylor will try to become the first man to win three 400m hurdle titles, but it will be a tough battle against a home country favorite,Dai Greene, and Javier Culson of Puerto Rico. U.S. athletes have won 75 percent of the gold medals in this event, and swept the podium spots last time. Beijing silver medalist Kerron Clement is rounding back into top form at the right time, and surprise Trials champion Michael Tinsley has shown that he has the ability to grab a medal. This event is wide open, and Team USA could again score multiple medals. LaShawn Merritt led a sweep of the medals in the men’s 400 at Beijing and again tops the yearly world list with his 44.12 Trials win. Florida’s NCAA champ Tony McQuay dropped his PR to 44.49 in that race and could threaten for a medal as he is experienced in running rounds, while USC’s Bryshon Nellum is one of the feel-good stories of the meet after fully recovering from gunshot wounds early in his collegiate career. Team USA has dominated the Olympic one-lapper historically, taking 20 of 27 golds. Reigning world champion Jesse Williams comes into the Games facing a daunting pair of Russians who top the world list in 2012 after monster jumps at their national championships, but his 2.36m/7-8.75 win in New York and a solid victory at Monaco show that he will not give up the gold easily. NCAA champ Erik Kynard of Kansas State, who is ranked sixth in the world, and Trials champion Jamie Nieto are both capable of 7-8+ clearances. Dawn Harper won in Beijing to take Team USA’s second straight gold in the women’s 100H. Her task in London will be formidable as she faces Australia’s reigning world champion Sally Pearson, who has dominated the event recently. Two-time world indoor 60H winner Lolo Jones finished 7th in 2008 and is looking for redemption, and Kellie Wells is the third-fastest woman in the world in 2012. An unexpected bronze medal in Daegu last summer propelled Matthew Centrowitz onto the world stage in the men’s 1500, and his savvy racing skills hold him in good stead for what may be a tactical London final. Both Leo Manzano, the Trials winner, and Andrew Wheating have superb finishing skills that will come in handy if they make the final. None of the U.S. trio are ranked in the world top 20 time-wise this year, but that traditionally means little in global championship metric miles. Two-time world indoor and outdoor champ Brittney Reese will try to end a 16-year Team USA medal drought in the women’s long jump, and she has the best mark in the world this year with a 7.15/23-5.5 from the Trials. World indoor silver medalist Janay DeLoach and international newcomer Chelsea Hayes of Louisiana Tech both notched 23+ jumps at the Trials and are ranked in the world top eight coming in. American record-holder and reigning world champion Lashinda Demus will be aiming to become Team USA’s first gold medalist in the women’s 400m hurdles. She is ranked fourth on this year’s world list. Arizona’s Georganne Moline, the world No. 8 currently, has emerged as a rapidly-developing threat and her PR of 54.33 from the Trials puts her in the medal mix. The last six major international championships have seen only two women win the 200 — Allyson Felix and Jamaica’s Veronica Campbell-Brown. Felix threw down the gauntlet at the Trials in Eugene, stunning with a 21.69 that made her the third-fastest American in history. Sanya Richards-Ross is No. 2 on the world list with a 22.09, and Carmelita Jeter, last year’s World silver medalist, holds the fourth spot at 22.11. Team USA has won 55 medals in Olympic 110m hurdles competition, but the last time an American man took Olympic gold was Allen Johnson at Atlanta in ‘96. Aries Merritt has thrice run 12.93 this year and is favored to bring gold back to the U.S. Last year’s world champion Jason Richardson became the first man to run under 13-seconds twice in one day earlier this year at the Trials and is No. 3 on the world list at 12.98. Jeff Porter dove to a spot on the team in Eugene and is No. 4 on the rankings at 13.08 this year. 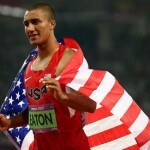 World record-holder Ashton Eaton is the prohibitive favorite to keep decathlon gold in Team USA’s hands after scoring 9,039 points at the Trials in conditions that were remarkably similar to what the athletes will face in London. Trey Hardee is a two-time world champion and will give the U.S. a chance for the first 1-2 finish by a nation since Germany did it in 1988. In 1992 Team USA went 1-2 in the men’s triple jump. Fast forward 20 years to London, and the young Florida pair of Christian Taylor and Will Claye have an opportunity to match that feat. Taylor grabbed the world outdoor title in Daegu last summer and is the world leader at 17.63/57-10.25. Claye took top honors at the world indoors in March and is No. 2 on the global list with a 17.55/57-7 best in 2012. Three-time world outdoor medalist Wallace Spearmon has the seventh-fastest 200 time in the world this year at 19.95. The heavy favorites for the top two spots are Jamaica’s Usain Bolt and Yohan Blake, but the door is wide open for a bronze. An American woman has never medaled in the Olympic 1500. Jenny Simpson, who won in Daegu, and Morgan Uceny, who ended the 2011 season ranked No. 1 in the world, could change that. As with the men, this final could be a tactical affair. 2009 world bronze medalist Shannon Rowbury has also shown the ability to sneak into the top three. On paper, Team USA’s women’s 4×100 should give East Germany’s 27-year-old world record of 41.37 a scare, with three of the squad boasting PRs under 11-seconds in the 100. The quartet will need every bit of that speed to hold off Jamaica. The dominant men’s 4×400 power in Olympic history, Team USA has won 16 golds. Barring a disaster this year’s foursome should make it 17. The depth of the U.S. talent pool gives team coaches a chance to select from a list of men at least six-deep who have run under 45-seconds in the open 400. In 1988 Louise Ritter won the last women’s high jump gold for Team USA. 24 years later, American record-holder Chaunte Lowe is poised to match that achievement. Lowe is currently No. 2 on the world list and won the world indoor title in March. Arizona’s Brigetta Barrett is tied with Lowe in the rankings at 2.01/6-7. It has been 48 years since a U.S. man won an Olympic medal in the 5,000. In 1964 Bob Schul and Bill Dellinger went 1-3. American record-holder and 2011 world runner-up Bernard Lagat has demonstrated a knack for being in the medal hunt, with a 2007 world championship and a 2009 silver sandwiching his ninth-place finish at the ‘08 Games. A titanic two-way tussle for the gold between Team USA and Russia is again in the cards for the women’s 4×400. The U.S. has won four straight Olympic titles in this event, with Russia taking silver the past two Games. Eight of the world’s top 10 400 runners this year hail from the two nations. Taking into account the dominance of U.S. and Jamaican men in the sprints, it’s no surprise that the two nations are ranked as the favorites in the 4×100. Team USA had a superb 37.61 at Monaco in the final tune-up for the Games. Smooth passing will again be the key as they face a Jamaican squad that has said they want to be the first team to crack the 37-second barrier. 2004 silver medalist and Trials champion Meb Keflezighi has the pedigree and American record-holder Ryan Hall has the PR to be in contention for a podium spot in a race that is entirely unpredictable. Hall has a best of 2:04:58 and was fifth at London in 2:06:17 in 2008.